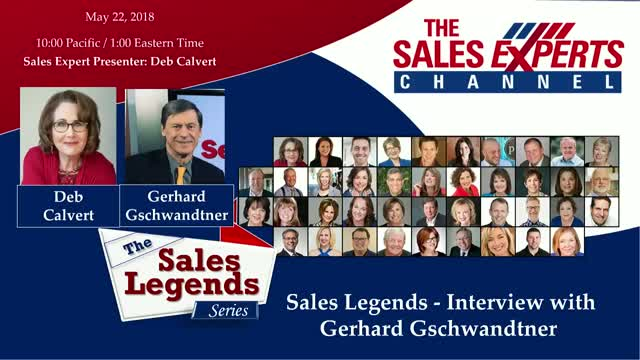 Gerhard Gschwandtner is the founder and CEO of Selling Power, a media company that produces the award-winning Selling Power magazine and Selling Power TV, a daily video interview series on sales success. He developed and hosts the Sales 3.0 Conference, which helps sales leaders integrate sales technologies into their sales organizations to create improved sales effectiveness and greater customer value. Over the course of three decades, he has interviewed some of the most successful leaders and experts in sales, business, sports, entertainment, and politics, including Mary Kay Ash, Marc Benioff, Michael Dell, George Foreman, Larry Ellison, Richard Branson, Jay Leno, Meg Whitman, and many more. Gerhard has studied the lives of hundreds of peak performers and worked with world-leading coaches and psychologists to create the unique, new Peak Performance Mindset training program. He is the author of 17 books on the subject of sales, management, and motivation and received the Sales & Marketing Executives International, Inc. 2010 Ambassador of Free Enterprise Award.